A party for students in Glen Rowan. This photograph was found from a yearbook in 1981. 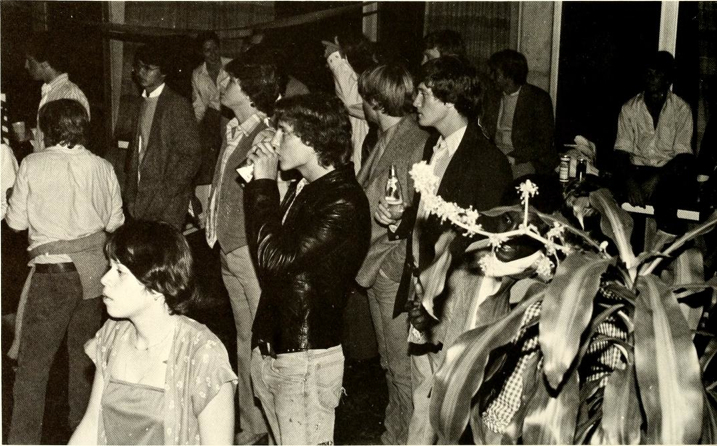 In the 1980's, Glen Rowan was a popular area for parties held for students. The year 1980 was when the Glen Rowan building was open for students. Today, the popular party that is held for students is the senior cocktail party. Held at Glen Rowan, this party is dedicated to the seniors graduating and they are allowed to invite others to come along.